We quote for our products exclusively via e-mail. To get you personalised quotation, simply provide us with some details and we’ll e-mail you a Geotextile quote right back! Remember to provide as much detail as possible so that we can calculate the best possible price for you. 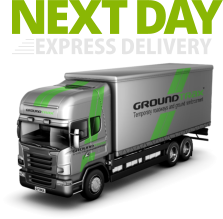 Requirements Please be aware that all GeoTextile is dispatched via our Pallet Delivery Network using curtain-sided wagons. It is the responsibility of the Purchaser to provide a method at the delivery address for unloading of these pallets. This method would normally be a fork-lift or similar.